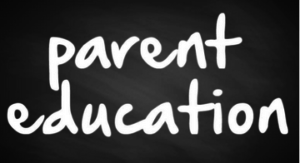 You are here: Wade Thomas Parents Association > Programs > All Posts > Events > Did you know?…..
Did you know that there is a FANTASTIC parenting resource for our families, right on our WTPA website?? Our very own Susie Shaw does an amazing job keeping her finger on the pulse of what’s hot in Parent Education today and what resources we have in our community to become more educated parents. From books to articles to seminars, click HERE to find out what’s available to help you where you need it!